In Guernsey, there’s a building known to the locals as The Chain House. We were contacted by the gentleman who lives in this historic house, regarding a very rare collection of etchings. He had gone on holiday to Australia for 6 weeks weeks. Whilst he was away, his boiler failed, filling his home with 6 inches of water. Since no one was in the house at the time, it was weeks before the flood was discovered by his cleaner. During this time, the water has caused drastic damage to over 60 very rare marine etchings worth over £100,000. They had become damp, and because of their prolonged moisture exposure, they were covered in mould and mildew. We travelled to Guernsey, very carefully removed each one from their frames and returned with them to our studio to begin restoration. Over a number of weeks, each etching was very precisely and very carefully treated for damp and mould, and restored. Once the restoration was completed, the etchings were remounted and we returned with them to Guernsey where we re-framed and hung them for him. This particular house has a lot of history; it was occupied by the Nazis during World War 2 and was the only place in the UK to be invaded by the Germans. 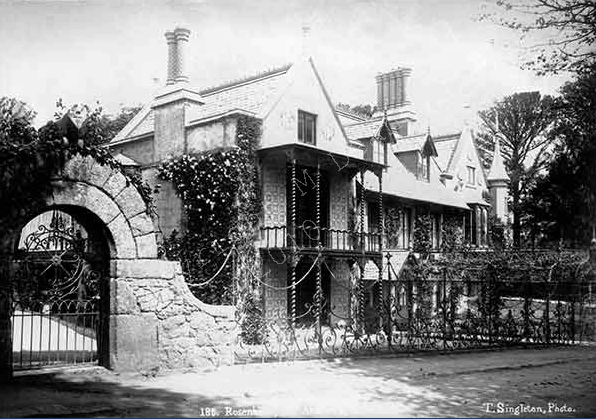 The Chain House is also thought to be one of the most haunted privately owned homes on the island.